Vacuum containers come standard in 20 and 25 cubic yard capacities with all ¼” construction. 8” flanges are standard on the front wall and tailgate. All containers are water tested. 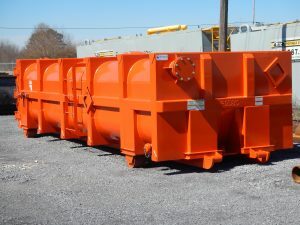 Custom sizes, dewatering baskets and other modifications are available as well. Contact Pinnacle to learn more!